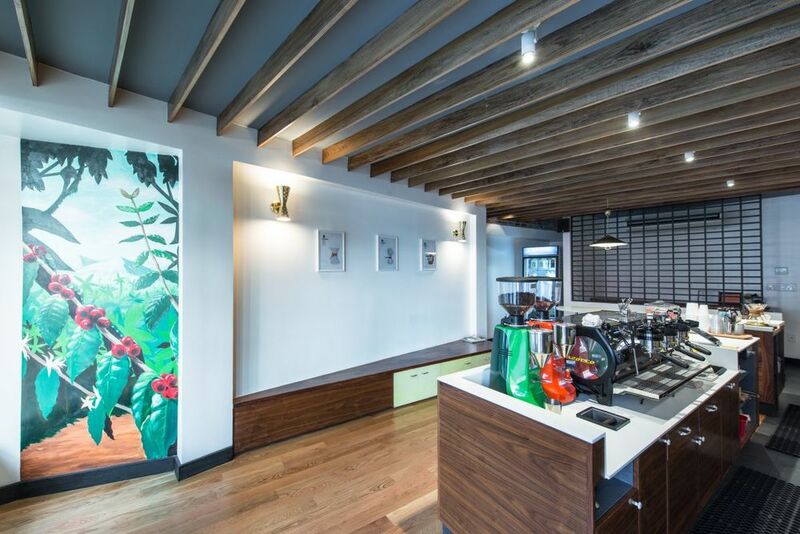 The process of coffee-making and its visibility to the customer was a design driver for this cafe. The counters are dropped so that customers can interact with the barista and observe the making of their drink. Seats occupy in-between spaces and smooth out the volume of the cafe; built-in benches and window seats encourage community interaction. A tessellating pattern created by a rotating module of ceramic tiles adorns the back wall, focusing attention on the baristas and creating the intimacy of a home kitchen. Photos by Alan Tansey.